Check out Abenson's Open Box SALE! 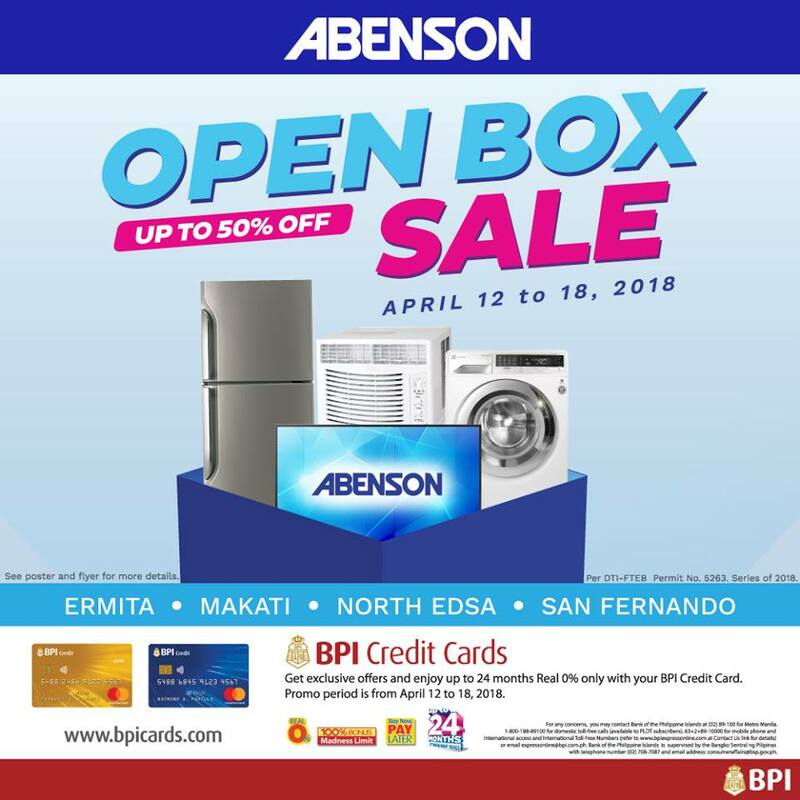 Get up to 50% off on open box appliances at selected Abenson stores (indicated below) from April 12-18, 2018. PLUS ... enjoy up to 24 months real 0% interest on installment when you shop with your BPI Credit Card!